The Sac City Wastewater Treatment Plant was originally constructed in the late 1970s and was in need of renovation with many critical components at or approaching the end of their useful life. All wastewater in the City was moved to the plant through one duplex main pump station which was constructed at the same time as the treatment plant. The pump station was also in need of a capacity upgrade and renovation due to its age. The plant was originally designed as a fixed film Rotating Biological Contactor (RBC) treatment system. Working with the City and IDNR, it was determined that the plant could be upgraded using a significant amount of the existing facility and technology. Numerous funding sources, including Community Development Block Grant (CDBG), State Revolving Fund (SRF), American Recovery and Reinvestment Act (ARRA), and user rates, were used to finance the improvements. Snyder & Associates renovated the main pump station with new dry pit submersible pumps designed to maximize the amount of water that could be pumped through the existing force main. To accommodate high flows experienced during rain events, a synthetically lined 5 million gallon flow equalization basin was constructed. 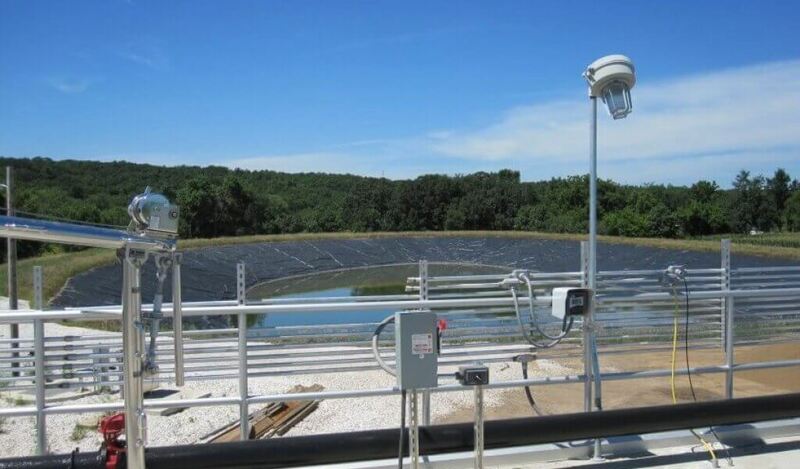 Using the basin, the treatment plant could be operated within its capacity, and excess wastewater could be treated at a later time when flows dropped below treatment plant capacity. A complete renovation of the headworks was also constructed which included two new rotary fine screens and a vortex grit removal system. All six of the existing RBC units were replaced, and biological capacity was maximized. 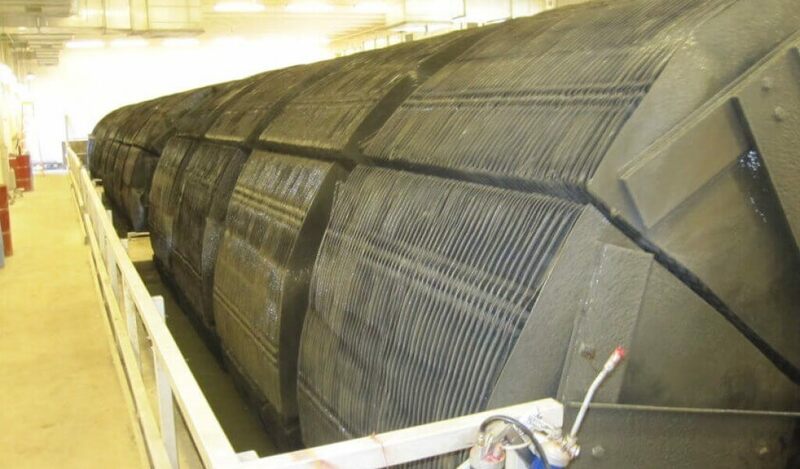 The final clarifiers had experienced freezing issues since original installation. Both units were replaced, and new aluminum covers were installed. The existing chlorination-dechlorination disinfection system was renovated, and chlorine storage was upgraded to modern standards. 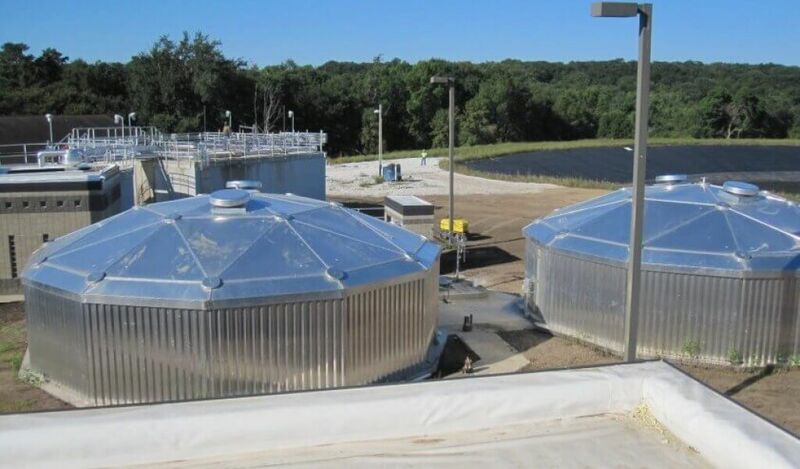 Inadequate biosolids treatment and storage had created operational difficulties since the original construction. 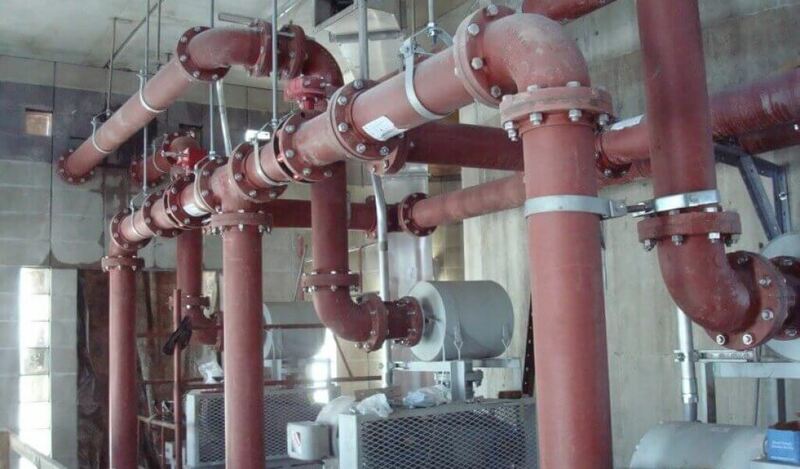 Pumps were installed to move biosolids from the final clarifiers to storage to provide finite system control. 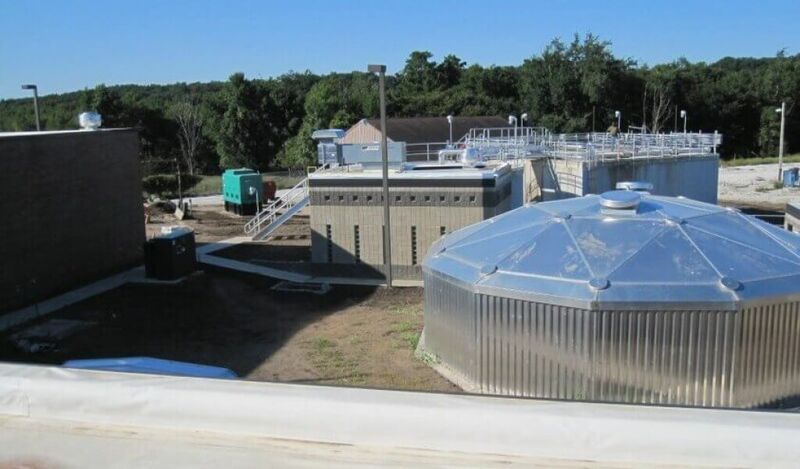 Existing biosolids components were significantly upgraded, including construction of a new blower building and a new biosolids storage and treatment system. A modern SCADA control system and significant electrical upgrades were constructed along with improving HVAC to meet modern standards. New emergency power generators were also installed.